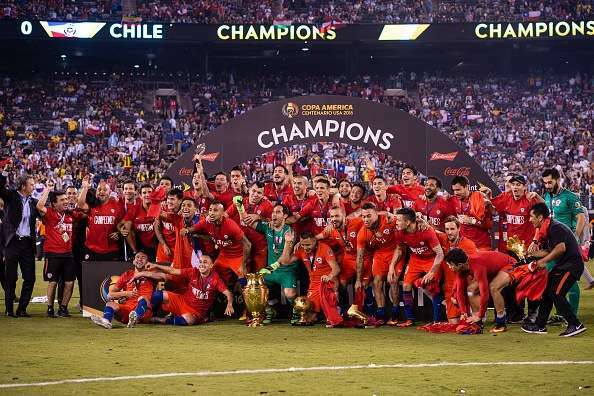 Chile defeated Lionel Messi-led Argentina 4-2 in penalty shootouts in the final of the Copa Ameria Centenario 2016 to defend their title. None of the teams were able to trouble the scoreboard in 90 minutes and extra time followed, but the scores remained the same and like last year, penalty shootout decided the outcome of the final between these two teams. Unlucky for Messi and Argentina as they were once again on the receiving end of a heart-breaking loss, their third major tournament final defeat in the last three years. An ill-tempered game, which saw both the teams picking up a red card each, was not short on drama and in the end, team with the better goalkeeper prevailed. Here’s looking at how each player fared in the match. The Manchester United goalkeeper had to make his first save of the day after 80 minutes of the match were played. He made a couple more decent saves in the next 40 minutes and also saved Vidal’s penalty in the shootout. Playing as the right-back, Mercado had to deal with the threat of Alexis Sanchez in this crucial encounter and he did decently to keep the Arsenal man from taking shots at will on goal. The most experienced player in the Argentine backline after Rojo’s sending off, Otamendi did well along with his fellow defenders and kept Chile at bay for majority of the match. The young Everton defender kept his cool throughout the match and probably gave his best performance in Argentine colours. He made a brilliant last-ditch tackle in the dying moments of the game, denying Sanchez to take a shot from close range. The Manchester United player was shown a straight red by the referee in the 43rd minute for a tackle on Vidal. Though referee’s decision can be termed harsh, Rojo should have refrained himself from making 50-50 challenges, especially when the opposition was down to 10 men. 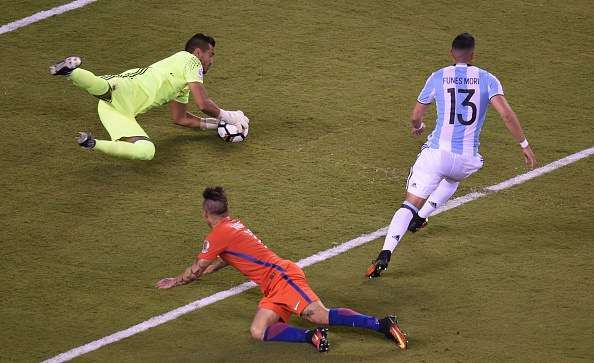 Banega gave Chile jitters in the first minute of the match itself when he tried his luck from distance but the ball went just wide of the post. His set-piece deliveries were also below par and he was taken off for Lamela in the 111th minute of the match. Mascherano started as a defensive midfielder in the match but was forced to move back after Rojo’s red card. 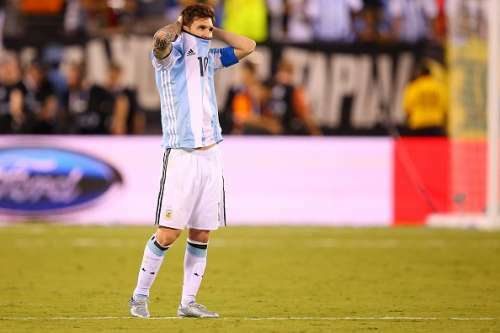 Apart from making some early fouls, he gave a decent performance and also converted his penalty in the shootout. Biglia was brought into the starting line-up due to an injury to Augusto Fernandez and his performance was well below average and he was also guilty of not converting his penalty in the shootout. Di Maria started the match well and created all kinds of trouble for the Chilean backline with his dribbling and pace. However, he lacked the finishing and was subsequently taken off for Kranevitter in the 57th minute of the match. Like in the last two major tournament finals which Argentina played in, Higuain once again missed a gilt-edged opportunity in the 23rd minute of the match. He was taken off for Aguero in the 70th minute of the match. The Barcelona talisman was playing in his third consecutive major final with Argentina and was desperate to finally get his hands on a trophy with La Albiceleste. However, he was not able to produce his best in this crunch match. He did make some searing runs and was heavily involved in the game with Chilean defenders constantly fouling him. He even took a couple of long-range shots and a free kick in the dying embers of the match, but it was just not meant to be as he missed his penalty in the shootout. The magician then surprised everyone as he announced his retirement from international football. Kranevitter was brought on for Di Maria in the 57th minute to provide some defensive stability to the team. He did well to keep the Chileans at bay. The Manchester City striker came on for Higuain in the 70th minute and failed to convert an easy chance after getting into a good position. However, he grew in stature as the match progressed and was heavily involved in most of Argentina’s attacks in the extra time. He also converted his penalty in the shootout. Lamela was brought on for Banega in the 111th minute to provide some pace and width.